The Cognitive Neuroscience Society (CNS) is committed to the development of mind and brain research aimed at investigating the psychological, computational, and neuroscientific bases of cognition. The term cognitive neuroscience has now been with us for almost three decades, and identifies an interdisciplinary approach to understanding the nature of thought. It can be hard to trace the origins of a term such as cognitive neuroscience, but the story as we know it follows. The scientific field of cognitive neuroscience received its name in the late 1970s in the back seat of a New York City taxi. A neuroscientist (Michael S. Gazzaniga, one of the founders of the Society and the Journal of Cognitive Neuroscience) and the great cognitive psychologist George A. Miller were on the way to a dinner meeting at the Algonquin Hotel. The dinner had been organized for scientists from Rockefeller University and Cornell University, who were joining forces to study how the brain enables the mind, a subject in need of a name. 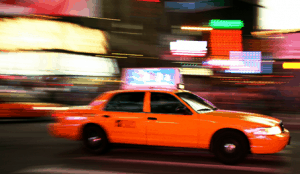 Out of that taxi ride came the term cognitive neuroscience, which took hold in the scientific community. Neither man remembers, or is willing to say, which of them first spoke the fateful name, but it took hold and was embraced by a generation as their banner.